Absolute pleasure and perfect quality – that is what is driving us anew every day at Schwartau. Many of our customers have known our products since they were children, and they still enjoy buying our jams, muesli bars, syrups and dessert sauces in their supermarket. Their trust is our motivation to become even better. So we apply the strictest standards to ourselves and look into every production step most carefully – from the selection of ingredients through gentle processing to the finished product. Schwartau is a family enterprise that has been firmly rooted in one of the most beautiful regions of Schleswig-Holstein ever since its foundation in 1899. At Schwartau we are convinced that you can only help to shape the future if you know where you are coming from. It is therefore all the more important for us to act with responsibility – towards our customers, our staff, our suppliers and our environment. Our corporate processes are structured in accordance with the recognized principles of ISO 9001 and of the International Food Standard (IFS). 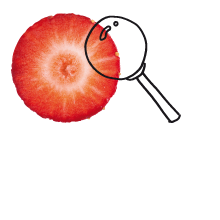 Based on European laws and standards they specify clear requirements in terms of the quality management system, food safety and the quality of processes and products. In the framework of our HACCP (Hazard Analysis and Critical Control Points) concept we scrutinize all our production processes for any potential microbiological, chemical or physical hazards. We undergo annual IFS certification audits, which review our activities. As a matter of principle we attach much importance to prevention and therefore we involve all parts of the company and all hierarchy levels in our endeavours. 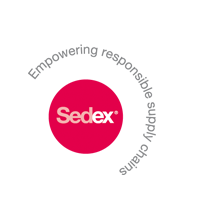 We use the recognized management tool Sedex (Supplier Ethical Data Exchange), which evaluates the working conditions, social and environmental standards and business practice of our suppliers. The basis of the analysis includes contracts, documentation, on-site visits and intensive talks with our business partners. 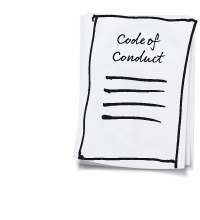 Our Code of Conduct lays down matters, which are of importance for us and our business partners. They include among others human rights, a ban on discrimination, child labour and forced or compulsory labour, right to freedom of association, anti-corruption rules and a ban on breaching competition rules. These principles follow the guidelines of the United Nations Global Compact (UNGC) and of the International Labour Organization (ILO). Your direct contact to Schwartau! Do you have any questions or suggestions? Would you like more information?